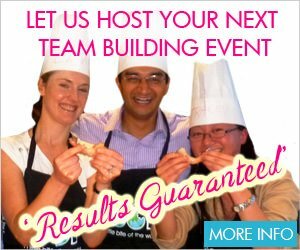 Are you looking for LGBTI Friendly Cooking Classes in Sydney? Look no further! VictorsFood introduces The Big Gay Cooking Class series especially for our LGBTI friends. These classes are just the right mix of saucy fun and serious food in a fast-paced Saturday afternoon that leaves time in your busy schedule for a bit of shopping. A list of our current LGBTI cooking classes is below. You can also check our proposed classes and express your interest for future classes.